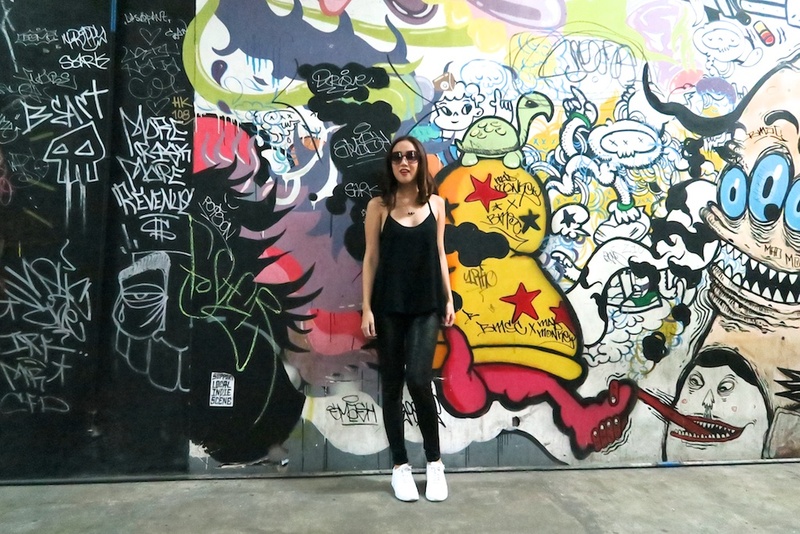 Look at me trying to be all hipster against this graffiti wall! It's pretty awesome to see art like this in random places in Manila. Aside from being a frustrated singer, I took art classes as well. It's definitely not for me but hey, maybe we can call it abstract? It's a shame though that artists don't get the credit that they deserve because it's not a high paying profession. I respect those who are able to stick to what they love doing even if there's no money in it. Don't be a sell out! Stay true to yourself. You may not end up rich but you will live a happy life.